This year i was able to take part of the toysfair 2018 in Nürnberg/Germany. Mainly i wanted to visit 3 companies and this report is for the first = DGT. DGT showing their newest products and i was mainly interested in seeing the upcoming DGT chess computer live. This product is right now not available – but i saw a prototype showing what you can expect. 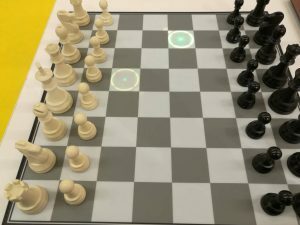 I think the selling of this chess computer starts after September 2018. 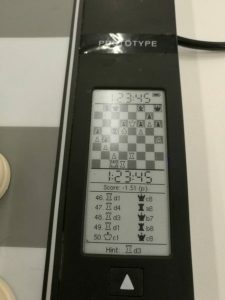 But not only this chess computer is presented. I could also feel how the plastic pieces and weighted pieces feel in your hand. Even i personally like wood alot more but i must say these plastic pieces arent bad at all – especially cause they quite heavy. What im missing most on a DGT e-Board is the leds like a revelation 2 has. 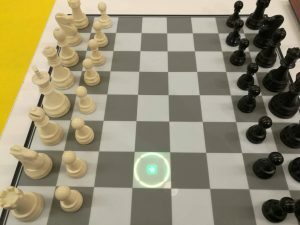 Sadly this computer has nothing to do with picochess – its running its own AI making this chess computer adapt to the user experience. You can mainly tell this engine if you want to win or loose more or play equal results. This sounds like a good idea. Lets see how they finally reach this. That‘s a fair point I guess. Everyone is missing the leds on the DGT board to show next move. 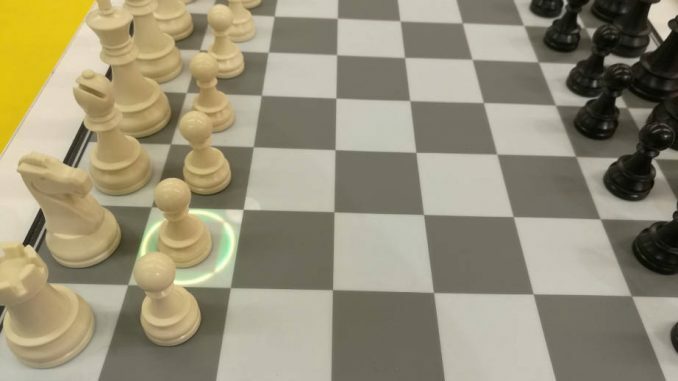 They should better create a board with leds everyone can afford. Something like the smartboard with leds or the bluetooth board or both. Can‘t think right now of a system better and especially more flexible than picochess & nice board with leds. Thankyou for the update on DGT‘s pipline!